I want to thank all who have taken time to be apart of findingflavors.com. 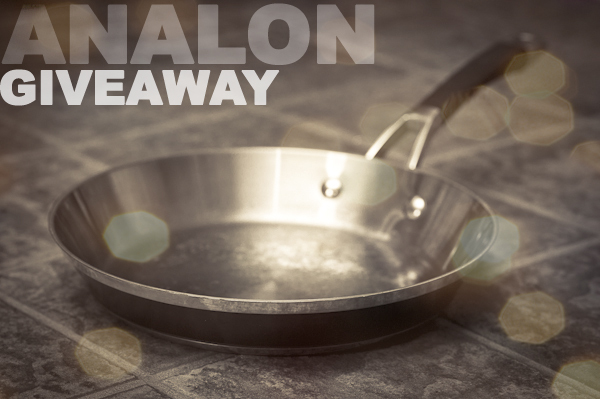 To show my appreciation I will be giving away an Analon 10 inch saute pan. This was lightly used at Culinary Central by some of the south's finest Chefs to demo their delicious seafood dishes. A big thanks to Susan and Jyl at Kitchen and Culture for this item. Check out their new magazine Louisiana Kitchen out early 2012. All you have to do is comment on this blog post by Friday December 30th. Fill in your name and email address and write "giveaway entry". That's it. Any extra words are up to you. If you want an extra entry click the facebook like box on the right. It doubles your chances! A couple of rules and info. We will not use your email address for any devious purpose. It is used to get in touch with the winner only. The winner will be chosen at random. The winner must be located in the lower 48 of the United States. Sorry, I can't afford to send items to Timbuktu. Good luck to all!